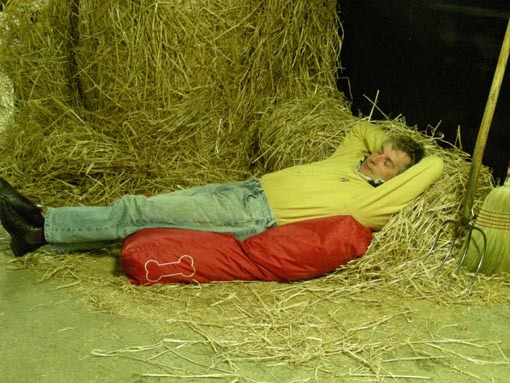 Sunday 6 April - Foaling duty is taking its toll! 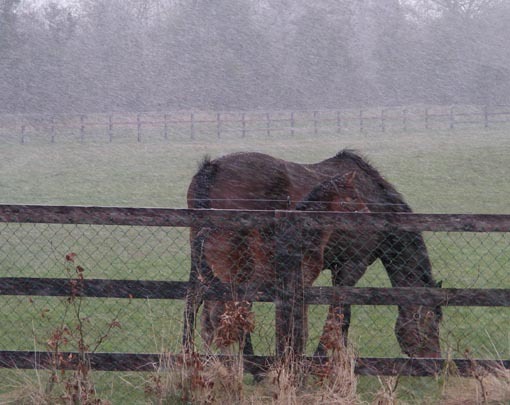 The warmer weather last week finally moved the mares on, both for foaling and for proper oestrus cycles. At last! Unfortunately the forcast tells us that it is back to winter later on today. Let us hope that they are wrong. Wide Range followed up with a lovely filly on Wednesday night and Khatela did the same and produced a sturdy filly by Invincible Spirit on Friday night. 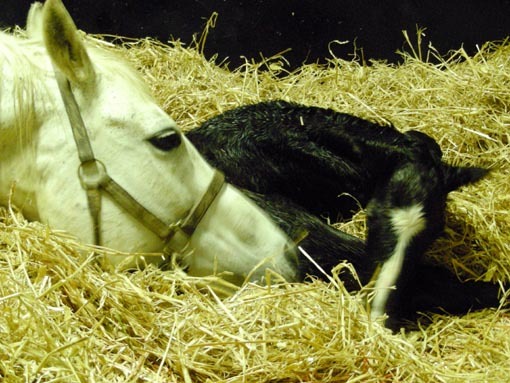 At last we can have a little rest until the next batch comes into the foaling boxes next week. Miss Shaan with her colt by Mujadil and Wide Range with her filly by Namid. Miss Coco Chanel, however, is not too keen on foaling! 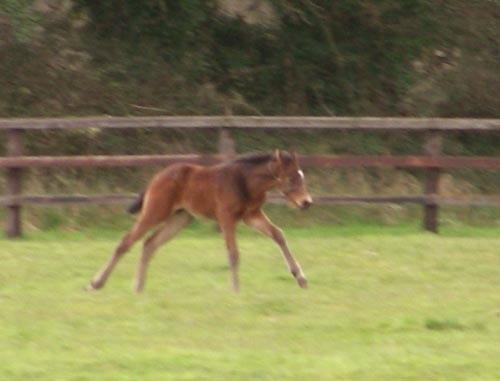 Meanwhile the older foals are enjoying life and are busy practising being racehorses! Update: we woke up to a sprinkling of snow and a very cold northwind this morning. So on this occasion the weather forcaster unfortunately got it right!